In some instances of breast cancer, tamoxifen is used in tandem with other chemotherapy drugs or radiation. Tamoxifen chemotherapy is one of the treatments used to treat a specific kind of breast cancer in both men and women. There are a number of different forms of breast cancer, and diagnosis and the choice of which treatment is most suitable must be made by the specialist on a case-by-case basis. Depending on the cancer being treated, tamoxifen chemotherapy may be given in combination with, or after, other chemotherapy drugs or radiation therapy. Tamoxifen may be known by different trade names in different countries, according to manufacturer and is available only by prescription in most countries. Breast cancer affects thousands of women and men every year worldwide and early intervention is vital to ensure the best prognosis possible. Regular self examination, at least monthly, and annual check-ups with a gynecologist or doctor are essential for early detection and diagnosis. Should anything unusual be felt on self examination, immediate medical attention should be sought. The mechanism of action of tamoxifen chemotherapy is the blocking of estrogen receptors, which prevents the cancer cells from growing. It is for this reason that it is used in hormone receptor-positive breast cancer patients. 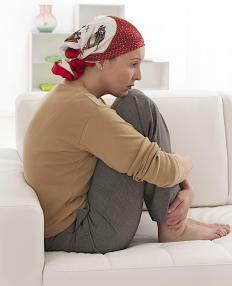 Tamoxifen therapy may be given with other chemotherapy drugs during treatment or may be taken once cancer treatment with other chemotherapy agents and/or radiotherapy are completed, to minimize the risk of a recurrence of breast cancer in high risk women. The drug is usually taken orally, either once or twice daily, and the prescribed dose should never be exceeded. As with any medication, tamoxifen chemotherapy may cause adverse side effects, which may include hot flashes, headache and thromboembolic disorders such as blood clots. The treating doctor will normally see the patient on a regular basis to monitor response and tolerance but should severe side effects occur, immediate medical advice should be obtained. Any other clinical conditions should be discussed with the treating doctor as tamoxifen chemotherapy may be contraindicated in some patients. Pregnancy, desired pregnancy and lactation should also be discussed. Tamoxifen chemotherapy may interact with other medications so it is important to discuss these with the prescribing doctor. This includes homeopathic, complementary and over-the-counter products. Tamoxifen chemotherapy is often taken for up to five years and the addition or removal of other medications throughout this period should be discussed with the doctor. As with all medications, tamoxifen should be kept locked away in a safe place, out of reach of children. What Are the Uses of Tamoxifen for Men? What Factors Affect a Sufficient Tamoxifen Dosage? What Is the Connection between Tamoxifen and Hair Loss? What Is the Connection between Tamoxifen and Endometrial Cancer? What is Estrogen Receptor-Positive Breast Cancer?